Album art is useful for identifying albums as you browse your digital music library. When you sync music files, album artwork usually appears on your portable device, too. Cover art is typically embedded with music files — but not always. 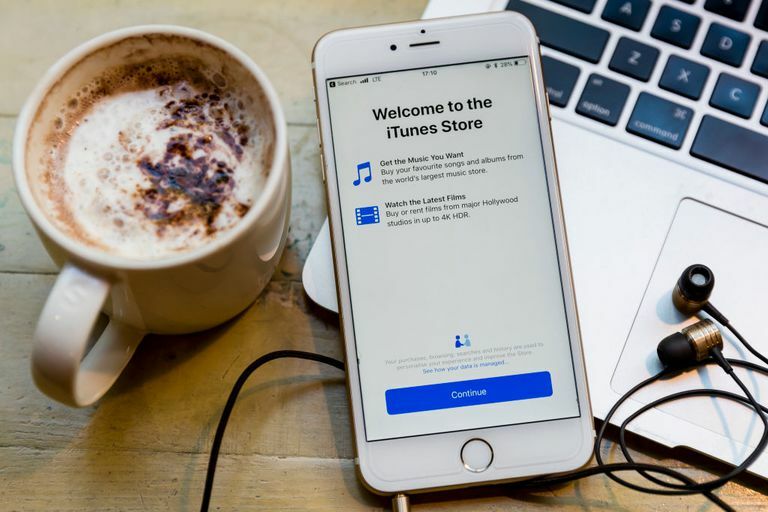 When you don't have album art for all the albums in your music collection, you can download artwork from free websites, but if you need to update a lot of music in your library, this method can be tedious. Software media players like iTunes and Windows Media Player help somewhat in locating album cover art without having to visit websites and download it manually, but even these can be slow and inaccurate. One way to speed up this task is to use a dedicated album art downloader. These tools search several album-art sources all over the internet so there's a greater chance of finding the correct artwork that goes with rarer albums. Supports custom scripts for expanded functionality. Automatic mode saves you the hassle of searching for images. No support for tags or renaming files. Takes some time to configure to your preferences. Album Art Downloader is a free open-source tool that is regularly updated and regarded by many as the go-to utility for downloading cover art. It uses an impressive array of sources to find album art and might make the difference when trying to find the correct cover art — particularly for rare albums. Automatically embeds downloaded album art. No support for multiple library locations. The Bliss album art downloader runs in the background as you add music to keep your album art up-to-date. It comes with 500 free album art fixes, after which you are asked to purchase additional fixes. Bliss is iTunes compatible, but it doesn't support multiple library locations. You'll have to direct it to a single library at a time. Bliss does more than locate album art. You can use it to define rules by which your library is organized, fill missing information, and correct inaccurate data. Just go to the Bliss website and download the version of the software for your operating system. The website offers a quick start tutorial to teach the basics of the program. Painless installation and set up process. Can also import lyrics for many tracks. Automatically replaces cover art you already have. Has trouble identifying songs outside of the Gracenote Database. TidyMyMusic from Wondershare uses Gracenote, the world's largest music database, to find and fix missing album cover art. You can use it with iTunes and non-iTunes libraries, including music from CDs, the radio, and YouTube. Additional features include identifying duplicate music on your computer. It can also add the correct title and artist information to your tracks. Presents you with six options per album. Intuitive interface for manually editing track information. No support for other media formats. You can't change the cover to all MP3 files in the same folder at once. If you're dealing with MP3 files exclusively then Creevity Software's free MP3 Cover Art Downloader is worth a look. It's not as feature-rich some of the music downloader tools but is excellent at embedding artwork into your MP3 collection. The covers display in Windows, Mac, iTunes, Windows Media Player and other music players. The interface is easy to use. It comes with a built-in player and basic tag editor, and it includes an option to import album art that might already be downloaded to your computer. Overall, this tool does a good job of adding cover art to your music library. Fewer features than other programs on this list. Cover Retriever is freeware that locates album art for MP3s. It uses data from the tags of the music files to search for the art using Google's search engine. Download the application and select the folder where you keep your MP3s. The app seeks missing album covers and saves them on a disk or in an audio file. If it finds several options, the tool asks you to choose the best solution from the album art found. In the folder with the audio files with the name "cover"
In a selected audio file as "frame"
Thorough tutorials and documentation available. Won't organize your entire music library as a whole. Extra plugins required for tags and other features. The Crab is open-source software that finds and downloads cover art for albums. It uses Amazon and Discogs to search for the correct artwork. Add album art to songs using locally stored images. The program also offers a music tag editor so you can edit specific song metadata information.